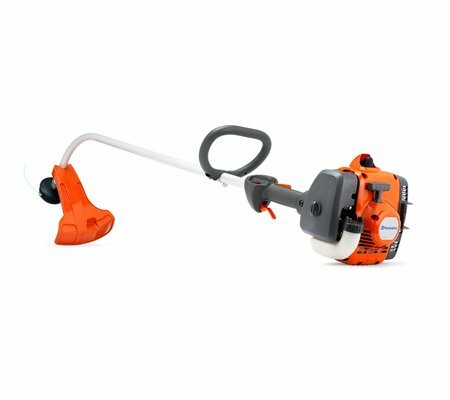 With models to suit all types of terrain, you cannot go wrong when looking at our range of line trimmers, brushcutters and whipper snippers for sale! 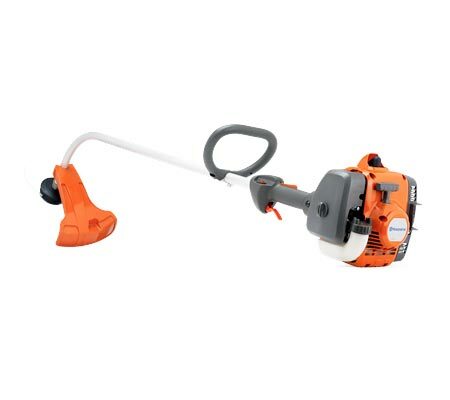 Clear your yard of unsightly overgrowth in no time. Why should you buy a Brushutter? 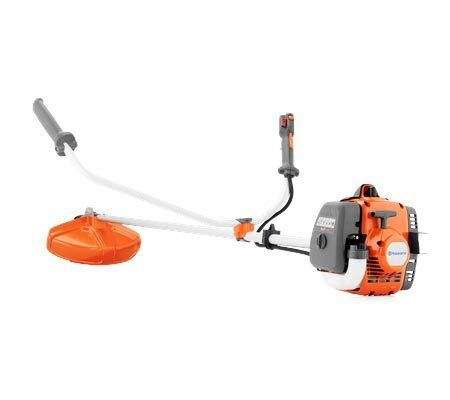 These brushcutters can be used for a variety of applications around your home or property. 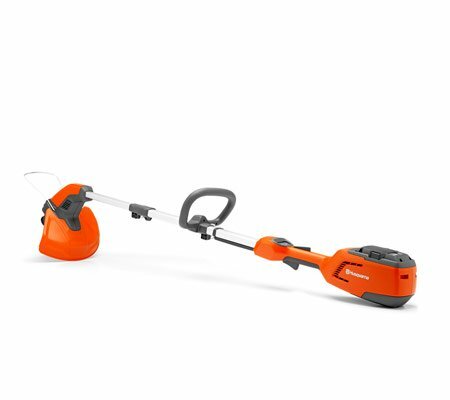 We have a model to suit every terrain, from trimming lawn edges to thinning tough scrub. All of our machines combine power with ergonomic design to make these chores seem easy. 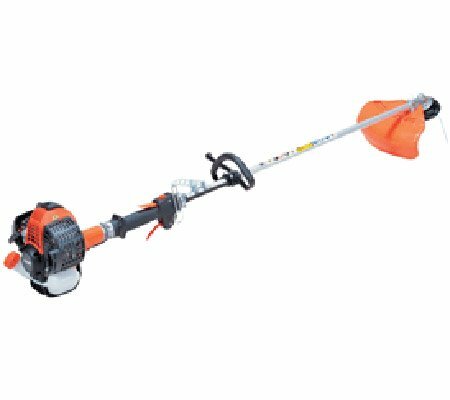 We offer a brushcutters with a variety of different shafts, ensuring that your comfort is key. Loop handles are suitable for trimming around edges, as they are easier to manouevre, whereas bullbar handles (combined with a harness) are suitable for long periods of use. 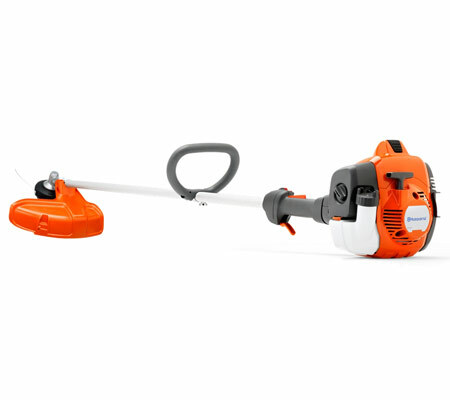 What are the benefits of a straight shaft brushcutter or bent shaft linetrimmer? 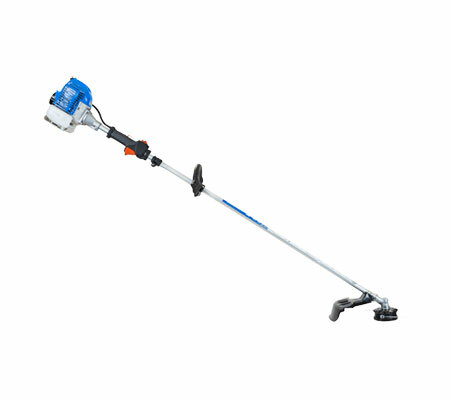 A bent shaft linetrimmer is for domestic use when only a line cutter head is needed for grass trimming. 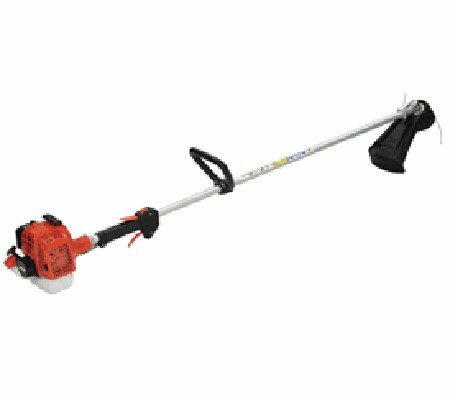 A straight shaft brushcutter is more suited to larger areas or a heavier workload. 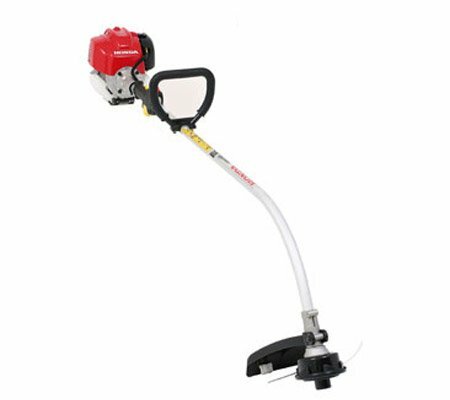 These can be fitted with a line cutter head or a range of blades for various purposes including bracken, shrubs and blackberries. What is the difference between a loop handle and a bulbar handle? 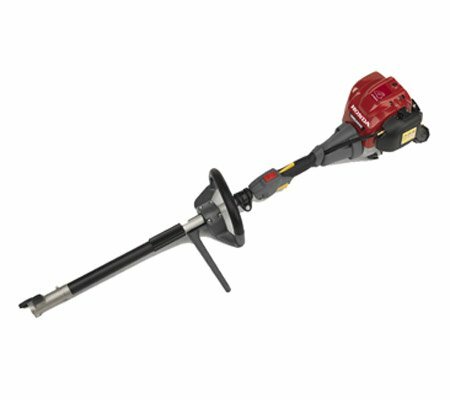 A loop handle linetrimmer or brushcutter best suited for line trimming or for shorter periods of use. A bulbar handle is better suited for heavier slashing work or for long periods of use, due to the better ergonomic positioning, with a harness. Should I buy a 2 stroke or a 4 stroke? This is really a personal choice. A 2 stroke machine only requires refilling the fuel tank as you get low, but your fuel must be premixed. 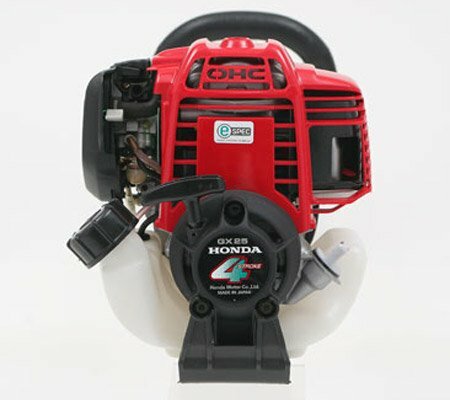 A 4 stroke machine will run more quietly, and does not require mixing of your fuel and oil. 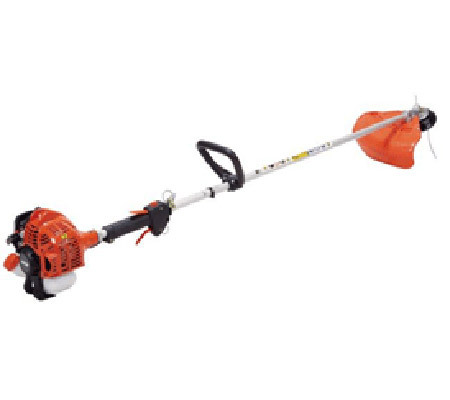 What power brushcutter should I buy? 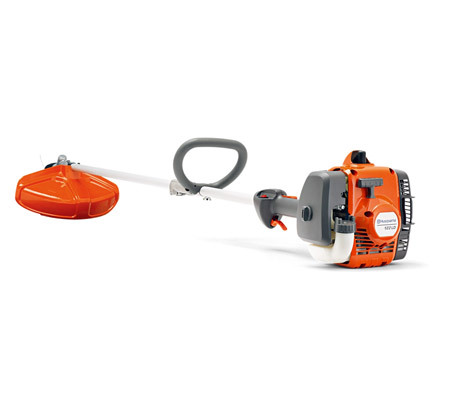 For domestic use, a 20 – 30cc brushcutter will be sufficient. 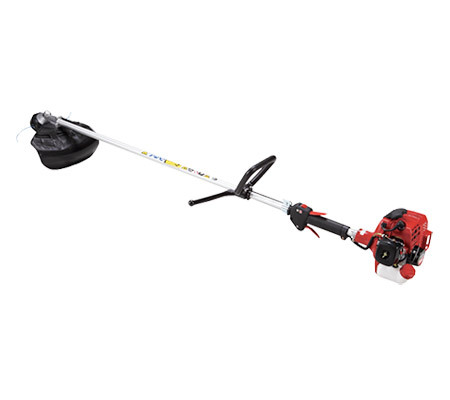 For larger properties or commercial use, brushcutters up to 50cc are available.